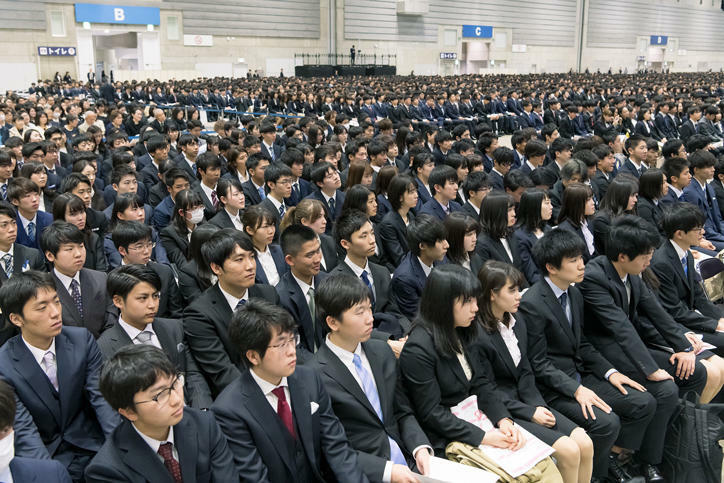 On Monday, April 1, the undergraduate and postgraduate entrance ceremonies for the 2019 academic year were held at the Exhibition Halls of Pacifico Yokohama. Similar to last year, the ceremonies were again held at an external venue as work to rebuild the Hiyoshi Commemorative Hall continues. 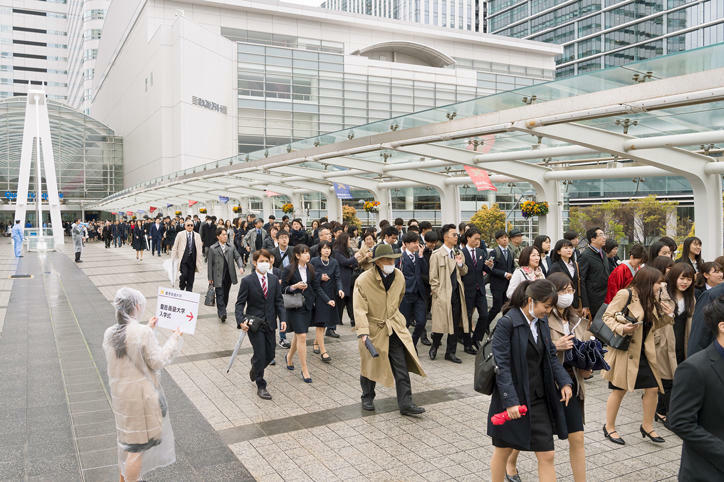 The ceremonies were large-scale events, with a combined attendance of about 18,000 people, including the new students, their families, and invited Keio alumni. At the postgraduate entrance ceremony which was held in the morning, a total of 1,729 students were welcomed to the 14 graduate schools (1,287 master’s, 269 doctoral, and 173 professional degree candidates). The ceremony began with Provost Tojiro Aoyama giving the Incoming Class Report, followed by a welcome address in Japanese and English by President Akira Haseyama. 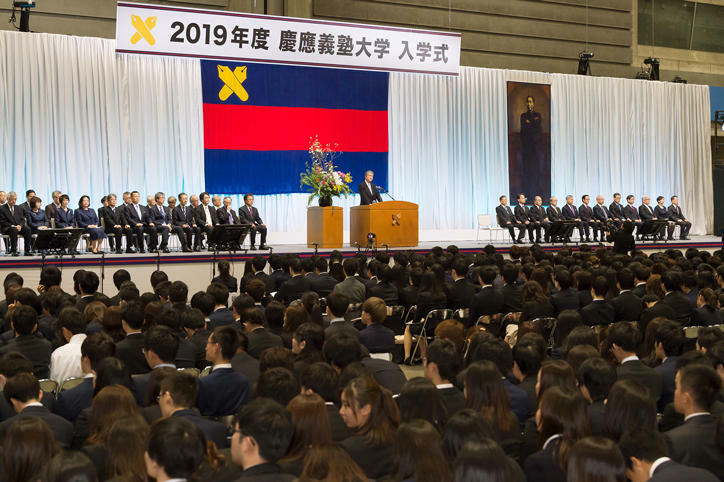 In his speech, President Haseyama explained the spirit of “learning while teaching, teaching while learning” and the importance of "human interaction," and he expressed his wish that the students have a rich student life in the liberal atmosphere of Keio University. Next, Professor Hiroyasu Izeki, a Graduate School of Science and Technology Committee Member, gave a congratulatory address on behalf of the faculty and staff members, and the ceremony came to an end with the singing of the Alma Mater "The Juku-ka." 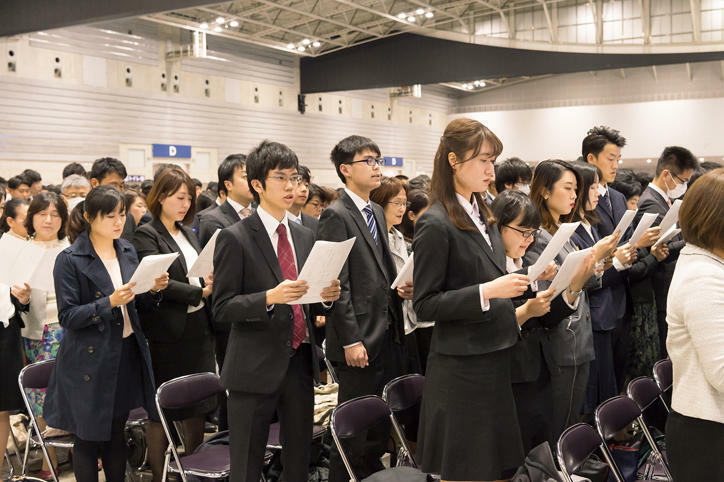 In the afternoon, the undergraduate entrance ceremony was held, and a total of 6,474 students newly became members of the Keio community, joining the 10 undergraduate faculties and the Japanese Language Program. 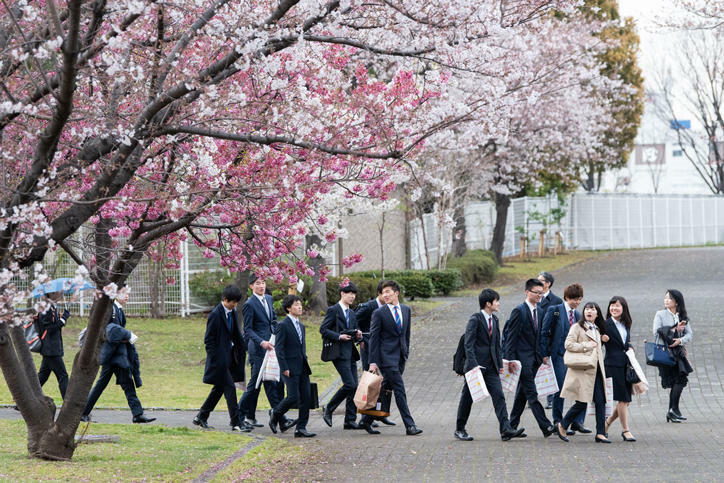 In addition, every year, Keio alumni celebrating 50 years after graduation are invited to the entrance ceremony, and this year, many alumni from the class of 1969 were in attendance. During the ceremony, President Haseyama gave a welcome address after Provost Aoyama’s Incoming Class Report. 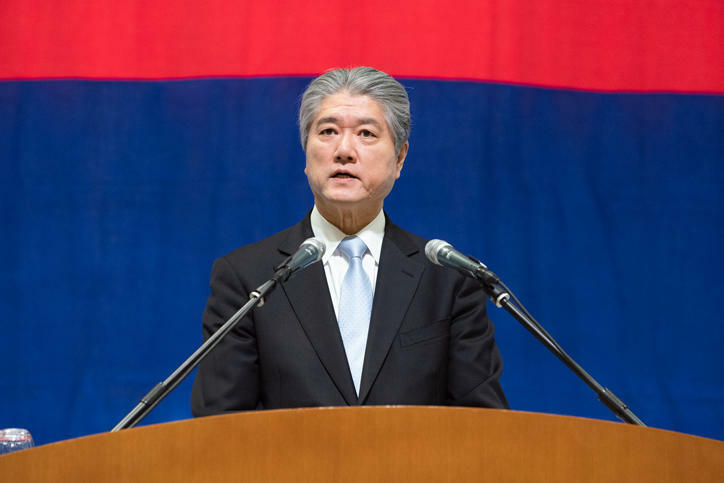 In his speech, President Haseyama expressed his hopes that the new students will make their own decisions and take responsibility for their activities related to study, sports, arts, and culture, and that each of them find goals and work hard to achieve them. 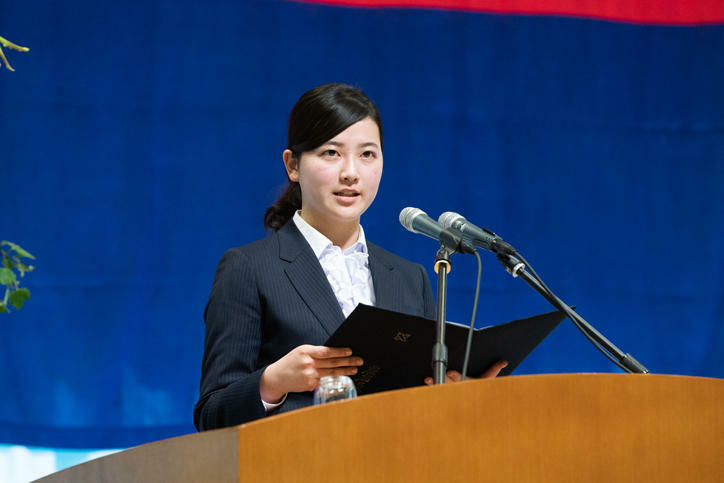 Then, representing the faculty and staff members, Professor Tetsuya Komagata of the Faculty of Economics gave a congratulatory speech, which was followed by a matriculation address by Miho Tanaka of the Faculty of Law. 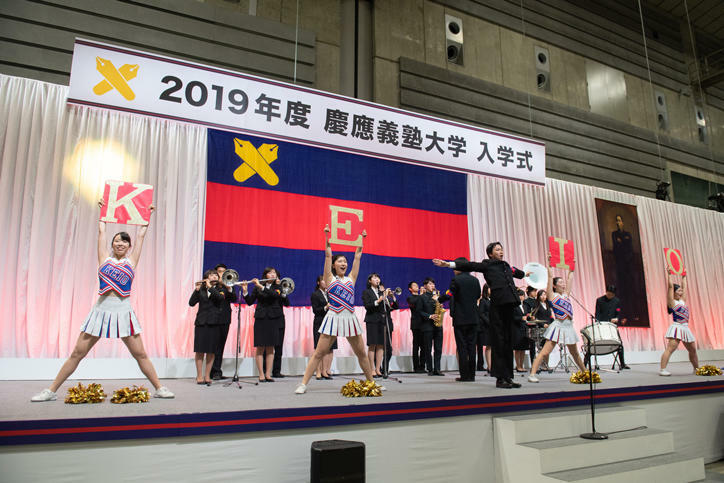 Finally, representatives of the 1969 Mita-kai presented donations and made a celebratory address before the ceremony came to a close with the singing of the Alma Mater, "The Juku-ka," by all those in attendance. Afterwards, the Keio Cheer Group took the stage to welcome the new students, livening the atmosphere inside the venue. 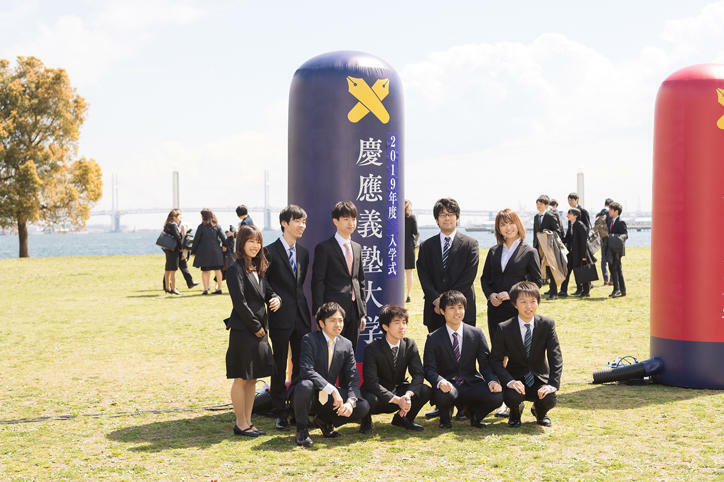 After the ceremony, many of the new students and their family members were seen posing for commemorative photos in the adjoining Rinko Park. 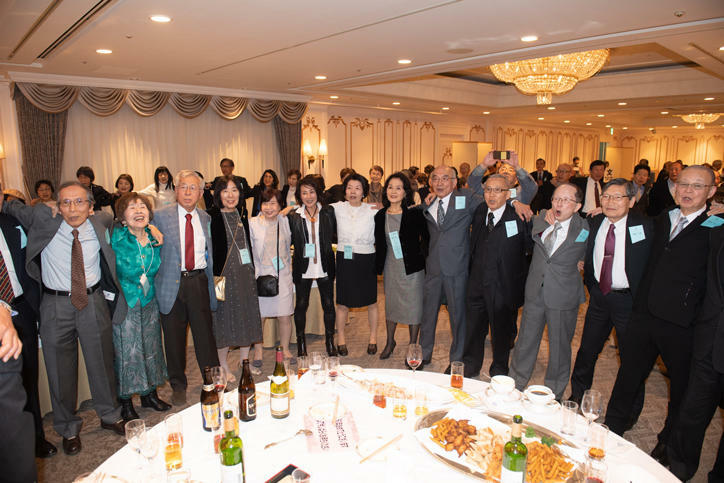 In addition, at the Yokohama Royal Park Hotel, the 50th anniversary alumni reception was held. New students singing the Alma Mater "The Juku-ka"